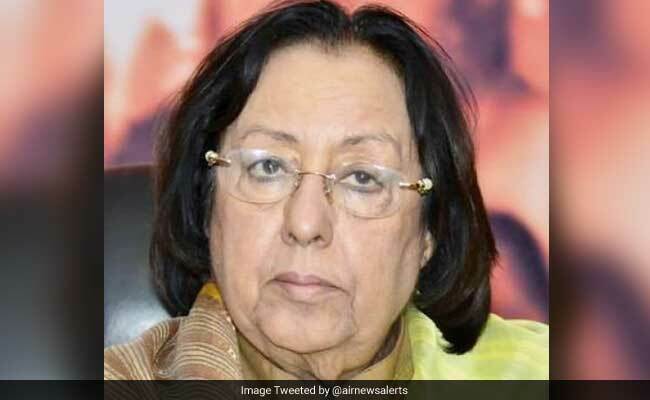 Governor of Manipur and former Union Minister for Minority Affairs, Dr Najma A Heptulla has been unanimously elected as Chancellor (Amir-e-Jamia) of Jamia Millia Islamia for five years by the University's Court (Anjuman) in a special meeting held on May 25, 2017. New Delhi: Governor of Manipur and former Union Minister for Minority Affairs, Dr Najma A Heptulla has been unanimously elected as Chancellor (Amir-e-Jamia) of Jamia Millia Islamia for five years by the University's Court (Anjuman) in a special meeting held on May 25, 2017. 77-year old Dr Heptulla succeeds Lt. Gen. (Retd.) M. A. Zaki who has completed his five-year term. Dr Heptulla's tenure begins with effect from May 26, 2017, said a statement from the university. Expressing his happiness over her election as Chancellor, Prof Talat Ahmad, Vice Chancellor, JMI said, "the university will be greatly benefited from her rich experience in both political and public life. It will be our privilege to work with her and to learn from her distinguished career in Parliament and internationally." Prof Ahmad added that the university would also like to thank the outgoing Chancellor for his unstinting support and guidance. Grand niece of independent India's first Education Minister, Maulana Abul Kalam Azad, Dr Heptulla has been a five time member of the Rajya Sabha between 1986 and 2012 and Deputy Chairman of the Rajya Sabha for sixteen years. Dr Heptulla has had the distinction of presiding over the women's parliamentarians' group of the Inter-Parliamentary Union in 1993. She was elected President of Inter-Parliamentary Union (IPU), a Geneva-based international organization from 1999 to 2002. She was nominated by the United Nations Development Programme (UNDP) as its human development ambassador. Dr Heptulla has authored a book, "AIDS: Approaches to Prevention". 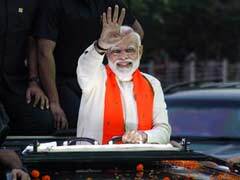 She has also written on human social security, sustainable development, environment, reforms for women and on ties between India and West Asia. Dr Heptulla served as the Minister of Minority Affairs in Prime Minister Shri Narendra Modi's cabinet before being appointed as Governor of Manipur. Poll Violation Complaint Against PM Missing? Election Body Says "Glitch"